What are the Advantages of a Cedar Fence? A cedar fence can be painted or stained. Cedar fencing has become a very popular choice for homeowners and commercial users interested in a wooden privacy fence for a number of different reasons. While it is true that a cedar fence may cost somewhat more than would other options, the value a the material offers often makes up for those initial costs. Further, many companies offer cedar fences in different styles, which can also help a homeowner when trying to make a statement about style. The options on modifying a cedar fence to fit your specific desires are nearly limitless. Most people prefer the natural look of a cedar fence, especially for their backyard fencing. Indeed, some people may even stain other types of wood in a way that mimics cedar. 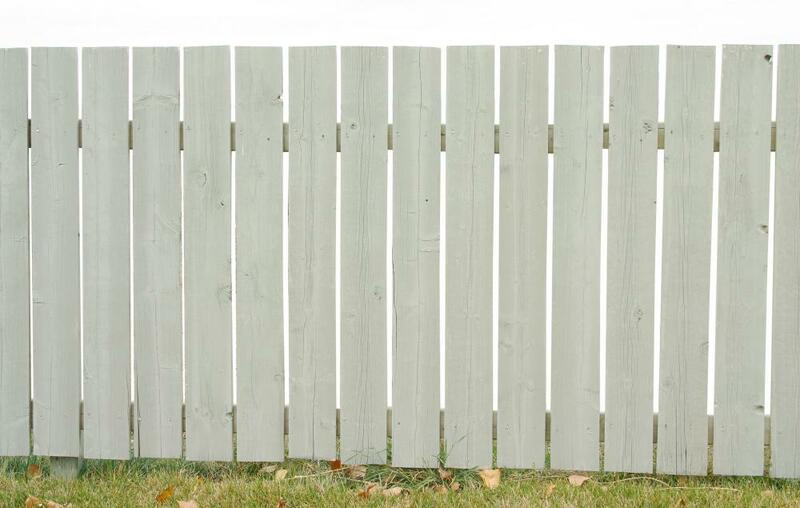 For those who do want a different shade or color, the cedar fence can also be stained, painted or oiled. Any wooden fence, given enough time, will warp and crack. However, cedar offers more durability than many other types of wood. In fact, using cedar will often add years of life to the fence and thus cut down on any maintenance issues that may come up over time. This is due to the fact cedar wood will actually change its moisture content to closely match the atmosphere. Moisture in the fence is what commonly causes wood to warp and crack, especially in colder climates during freeze and thaw cycles. Those who are looking at a privacy fence will have many different styles to choose from. Cedar fencing can come in the classic "dog ear" style, with simply boards going vertically up the length of the fence. A cedar fence can also be manufactured with a trellis along the top or with a straight board along the top, given a more boxed appearance to the fence. These options will usually cost a little more, but provide some customization to the cedar fence. In addition to these qualities, cedar wood offers other advantages as well. The fencing has a special chemical compounds called thujaplicins, which are responsible for the aroma the cedar fence will give off. This aroma is often very appealing to humans, but other pests, who may desire to bore into wood for their homes, often find the smell unattractive and will leave the fence alone. This also helps add to its lifespan. The skills required to install a fence made of cedar are generally no more than they would be for any other type of wood fencing. However, depending on the method chosen, it could still be a difficult project, requiring at least two people. Those interested could have the job done by a contractor, but many also choose to self-install the fence. How Do I Become a Fence Erector? How do I Choose the Best Cedar Stain? What are the Advantages of Cedar Storage Areas? What are the Different Types of Cedar Fence Panels? What is a Cross Fence?